A peek into more research on how manufacturers and vendors plan to react to the market for CAD, CAE, PLM, and other engineering software in 2010 and beyond. Research on the market for CAD, CAE, PLM, and other engineering software for 2010. 2009 was a very difficult year, no surprise. But what does 2010 look like? When will the market recover to pre-recession levels? 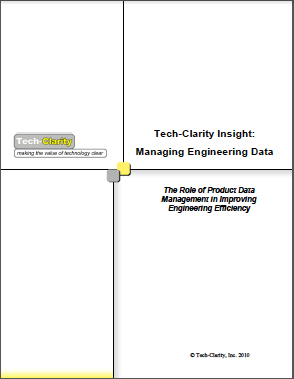 Research: Engineering Software Recovering in 2010? A quick peek into some research on … the impact of the economic downturn and the fledgeling recovery on the market for CAD, CAE, PLM, and other software for engineers and product developers. I had the chance to talk with … Chris Randles and Blake Courter of SpaceClaim recently to better understand their role in the broader engineering software market. SpaceClaim hase certainly managed to shake things up, from their initial introduction to the market with direct modeling, their tongue in cheek Twitter plugin, and now their demonstration of the potential use of multitouch manipulation in 3D modeling. This is a company that is clearly set out to change the status quo, and has succeeded in doing so. Other than shaking things up, though, where is the unique value that SpaceClaim offers, and why do they believe there is room in a consolidating CAD market for a new entrant?